For the past three decades, Nobel Peace Prize laureate Aung San Suu Kyi, currently Myanmar’s state counsellor and ‘de facto leader’, had been widely recognised as one of the world’s icons of peace and justice, a living embodiment of indomitable will under intense pressure. Much of her image as an unflinching crusader fighting for restoration of democracy—despite long spells of detention lasting nearly 15 years—was created as much by her own graceful persona and resoluteness as by the relentless propaganda of western media. That una­bashed admiration seems to have att­enuated to an alarmingly low level. What has brought Suu Kyi’s role under the withering, critical lens of the West is the horrible condition and relentless suffering of Rohingyas, a Muslim minority in the Buddhist majority Myanmar’s western Rakhine state. In recent weeks, after a few Rohingya militant strikes, Mya­n­mar’s army have killed, raped, looted and committed arson with impun­ity, forcing over 4,00,000 to flee to Bangladesh. Developments related to the Rohingyas are essentially a humanitarian issue, but one that has multiple ramifications at various levels. “Without ignoring the suffering of the local people, evidence is emerging of a more organised, Islamist-inspired militancy (often under the banner of the Arakan Rohingya Salvation Army, or ARSA) in the area—and the ­army’s ferocious response to it could have far-reaching consequences,” argues veteran Myanmar watcher and author Bertil Litner. He points out that the issue has started having large traction in the Muslim world. Or, as the International Crisis Group report bluntly puts it: “Unless properly handled, this could well be the beginning of a new religiously motivated insurgency with outside support.” Added to the problem is the involvement of various players trying to push their own agenda, often flooding social media with fake videos and photographs, sharpening not only the ongoing debate but often also undermining the credibility of genuine rep­orts of traumatic atrocities against the Rohingyas. Suu Kyi, silent as the Sphinx as the horrors mounted in Rakhine, and for long being entreated by all to speak up, finally spoke on Tuesday at capital Nawpyidaw, proposing several steps to provide succour to the Rohingyas—among them immediate ces­sation of violence and return of refugees from camps in Bangladesh after a proper verification process in consultation with Dhaka. The fact that she spoke in English clearly indicated that her target audience was her critics in the West. Yet, her speech hardly had a positive impact. Most western observers conti­nue to see her stand as a tame acqui­escence to the iron-fisted policy of Mya­nmar generals against the Roh­ingyas. It would seem that Suu Kyi’s ‘fall from grace’ is imminent; already, there is a rising clamour from sections for her to ret­urn the Nobel. In 1991, when she was awarded it, the committee chairman had described her as “the outstanding example of the power of the powerless”. Today, many in the outside world, swayed by the dominant western narrative, are willing to question whether that epithet still fits her. Among them are fellow Nobel laureates. Malala Yousafzai, the new poster girl of the West who had condemned the “tragic and shameful” treatment of the Rohingyas by the Myanmar army, ado­pted a high moral ground. Desmond Tutu, the anti-apartheid activist, wrote an open letter, expressing his “profound sadness” and calling his “dear sister” to end scor­ched-earth military operations against the hapless people. “If the political price of your ascension to the highest office in Myanmar is your silence, the price is surely too steep,” he wrote. Top western publications have pilloried her with the same gusto with which they once valorised her. “Ignoble Laureate”, sneers the headline of a recent profile on her in the New Yorker, while The New York Times ran a report with the caption “A Nobel Prize Winner’s Shame”, accusing her of presiding over an “ethnic cleansing in which villages are burned, women raped and children are butchered”. As if to put an official seal on that growing view, the UN Human Rights chief described the developments in Rakhine as a “textbook case of ethnic cleansing”. “The icon of yesterday is the villain of today,” says former Indian ambassador to Myanmar Rajiv Bhatia. According to him, with President Donald Trump in the White House and the European Union caught up in its own problems, wes­­tern governments have begun to forget the strategic importance of Mya­nmar in the geopolitical terms—especi­ally the growing influence of China. This has allowed the human rights constituency a free run to mount attacks on Suu Kyi. He feels that the stark failings of Mya­­nmar have made “all this very easy and doable”. But the baleful developments in Myanmar and the complexity of the Rohingya issue also pose a serious diplomatic challenge to India, since it regards the country as a strategic partner and an essential part of its ‘Act East’ policy. “The Rohingya issue has clear implications for our ties with Bangladesh, with Myanmar, with ASEAN countries and for our endevours to rejuvenate BIMSTEC,” says Bhatia. “Our response needs to be calibrated and creative,” he adds. With evidence now seemingly indicating links between Rohingya militants and Pakistan-based terror groups like the Lashkar-e-Toiba and Jaish-e-Mohammed, India should decide on what—humanitarian considerations or those relating to terrorism—should dominate its thinking. 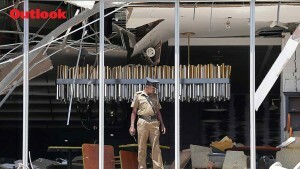 According to Bhatia, it is not an either-or situation, as both hum­anitarian and terrorism issues are relevant for India. “While being steadfast in our sustained campaign against terrorism, India has to be humane and caring. This apart, we have to recognise that the fundamental pro­blem has been created by Myanmar’s political class, so it has the responsibility to resolve it. 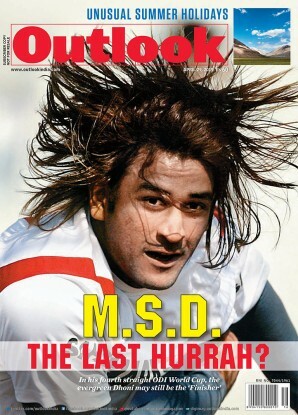 The real question is how to persuade it to move forward constructively,” says Bhatia. Unfortunately, what they saw was much of the same. The war against many of the ethnic groups like the Kachins or the Shans in the north continued unabated, leading to the displacement of over 1,00,000 people. In addition, despite most of the sanctions placed earlier on Mya­nmar to force the military junta to restore democracy being lifted after the elections, there were no significant signs of the economy improving. To this mix of deep disappointment was thrown in the developments in the Rakhine state. There, the fuse was lit on August 25, when ARSA militants attacked several police posts and army bases. As the Myanmar armed forces descended on the area in force, they killed over a thousand Rohingyas, burnt to cinders clusters of villages and drove out over 4,00,000 people, including a multitude of women and children, who fled to Bangladesh. Human rights groups have been aghast at their condition in rain-sodden border camps. Worse, Buddhist civilians have taken equal part in this outrage, and enjoy overwhelming support from their brethren across Myanmar in their ethnically motivated violence. In this scenario, Suu Kyi has little room for manoeuvre—irrespective of widespread indignation in the West, she could barely antagonise her constituency by ‘speaking out’. Gautam Mukhopadhyaya, also a former Indian ambassador to Mya­nmar, argues that the anger of the West against Suu Kyi stemmed mainly from her refusal to toe any particular line and play favourites. “They had expected her to be pro-West and favour them on the economic front, perhaps, in winning big contracts and also pushing their political agenda. But she had managed to adopt and pursue a neutral and non-partisan stand,” says he. Though expectations were unrealistically high after the 2015 NLD victory, most observers knew that the country’s 2008 constitution was drafted by the generals to ensure continuity rather than promote democracy. Everyone knew, says Litner, that Suu Kyi would not be the new president bec­ause the constitution prevents anyone married to a foreigner from becoming head of state. Suu Kyi’s late husband Mic­hael Aris was British and her two children are British and American citizens. Interestingly, though the international focus is firmly on the Rohingyas and their plight, the animosity between Mus­lims and Buddhists in Rakhine is an old one. At the time of Myanmar’s independence, sec­­tions of Rakhine Muslims wanted to secede to Pakistan, which didn’t materialise as Mohammed Ali Jinnah did not enc­­ourage their joining the newly created land. This move was preceded by the Rakhine Muslims’ decision to fight on the side of the British during the war, when most nationalist forces were with the Japanese. After independence in 1948, though other Muslims integrated with the rest and held important positions in government, the Rakhine Muslims, who started identifying themselves as Roh­ingya in subsequent years, were denied citizenship and continue to face hostility. Many of Suu Kyi’s supporters keep wondering as to when she will start being vocal against the army’s policies. Few doubt that on the Rohingya issue she would have to do the tightest of tightrope walks—keeping the mood of majority of the people in mind, including that of many Muslims. 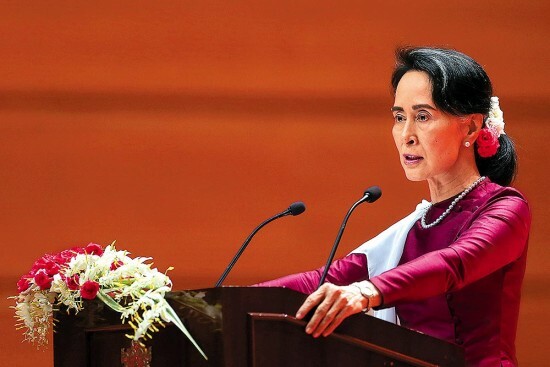 Yet, despite widespread disappointm­ent about her cautious approach in this hour of crisis, most people realise that the 72-year-old daughter of Gene­ral Aung San, the creator of independent Myanmar (Burma), continues to be the best hope for pushing the country forward on a democratic path. Her hand in making sovereign decisions, now feeble, may yet have the strength to withstand and check the forces of hatred.